Highly technically gifted players have often found it difficult to survive in the Russian Football Premier League (RFPL), especially outside those teams in contention for European qualification. Slow-paced playmakers like the Italian Andrea Pirlo or the Argentinian Juan Roman Riquelme are slowly becoming extinct. 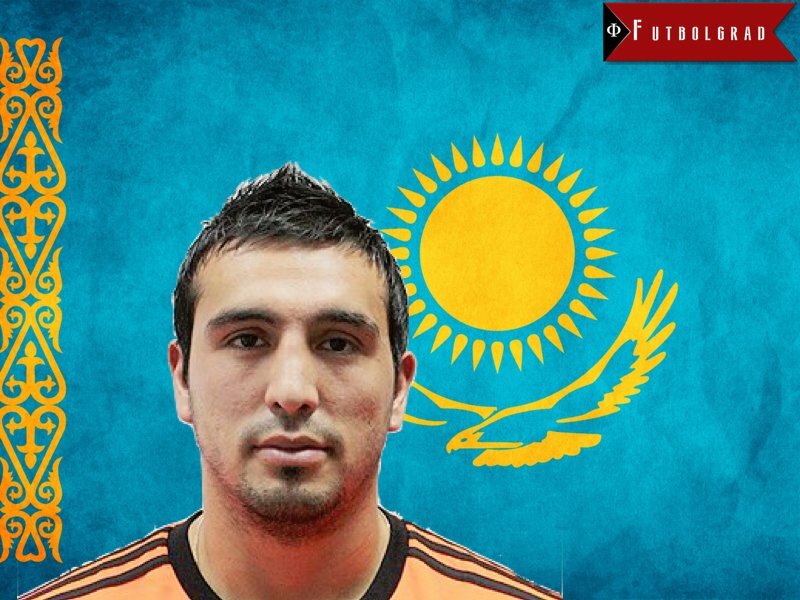 Hence, it is surprising that a Chilean international could carve out a career on the edge of Siberia and in Kazakhstan, rarer still, one who made his debut for the current double Copa America winners while plying his trade in the Russian second tier Football National League. Then again, Gerson Acevedo is far from conventional. The creative heartbeat of Ural Sverdlovskaya Oblast’s midfield for half a decade—a spell that was broken with a season at Mordovia Saransk, during which he was called up by Claudio Borghi for a friendly against Mexico—the languid central midfielder has offered a unique touch and vision that is rarely seen in the lower reaches of the RFPL. This summer he has moved on to join Andrey Arshavin and Anatoliy Tymoschuk at Kazakh powerhouses Kairat Almaty, and has already enjoyed his first taste of European continental competition, as his new club dispatched the Albanian minnows KF Teuta in the first qualifying round of the UEFA Europa League. In the depths of Tyumen’s Geolog Stadium last summer, it was clear that his mind was elsewhere as he shrugged when Futbolgrad asked him of his ambitions after having scraped through a dreary relegation playoff battle with Tom Tomsk. “Well, I don’t know. I have a contract here, but in the future anything could happen.” Standard fodder for the question, but it was his body language that told the real story. On the pitch it had been a listless performance from the whole team with fewer than usual of the South American’s passes finding their target but, in the tunnel, the usually upright posture was slumped forward in exhaustion, both physical and mental. And therein lies the puzzling paradox of Acevedo—sharp incisive passes, but a relaxed pace on and off the ball, often meant that his teammates were not on the same wavelength as the conductor. His quality could go wasted, and if his head dropped the whole team dropped too. So, will he find his ideal home less than 50 kilometres from the border with Kyrgyzstan? Whereas as his illustrious new teammates, Arshavin and Tymoshchuk, both won the Europa League in its former guise while with Zenit Saint Petersburg, and are now advancing well into their twilight years as professionals, Acevedo is hitting his peak at 28. Higher profile foreigners are looking east as the Chinese Super League continues to hoover up marketable talent—Hulk being the biggest casualty to leave the RFPL down the old Silk Road—but a new breed of club is springing up and offering those with less to prove, a chance to become a big fish in a wealthy pond. Kairat are a progressive club with lofty ambitions and a successful past. They have the strongest record in the Soviet Vysshaya Liga, among clubs in the region, as the only Kazakh side to play in the pre-independence top flight. Despite the investment in recent years from KazRosGaz—a subsidiary of Gazprom—they have only won two titles since 1992. In continental competition, however, they are steadily improving, and only failed to progress through four rounds of qualification to the group stage thanks to goal difference against Bordeaux last summer. So far, Acevedo has only started one match for his new employers, coming off the bench in the other three, so it seems he will have to earn playing time and prove himself in an unfamiliar league. A sluggish start to their domestic campaign, that brought just two wins from the opening eight matches, has left them ten points off the top with two matches remaining before the league splits in two for the final stage of the season. 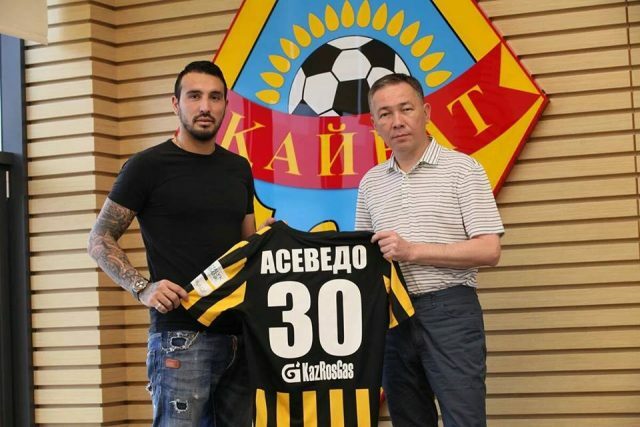 While Acevedo will have the chance to test himself in continental competition, he will almost certainly have to wait two years for the chance, given the nature of the spring-autumn league calendar and the gap between Kairat and the champions elect. FC Astana are streaking ahead of the competition and, barring a catastrophe, will be crowned champions for a third season running, and are already making waves in Europe despite having only been created seven years ago. Last season, a hugely promising debut in the Champions League saw them remain unbeaten at home in a group containing eventual runners up Ateltico Madrid, Benfica and Galatasaray. The quality of domestic Kazakh football is unquestionably a drop from facing the likes of Zenit Saint Petersburg, the Moscow giants et al. So with only a handful of years left at his best, there can only be two sources of motivation for Acevedo; money, or European football. From a playing perspective, he is likely to find it difficult to fit onto the same wavelength as his peers unless the serious investment continues to draw more quality players to Central Asia. Even if that happened, it would only contribute further to the lop-sided nature of the league, so it is questionable whether he will stay for long. It wouldn’t be the first time he has surprised people with his career choices if he did stay, however, as Ural prepare for life without their creator in chief.